Inspired by innovation. Driven by imagination. For centuries, Limerick has been an international trading hub. Over two hundred years ago, local entrepreneurial families developed deep, lasting and profitable connections with mainland Europe. Later, the first transatlantic air routes added to the city’s cosmopolitan character and enhanced its commercial reputation. Today, an exciting new initiative is drawing on this heritage. 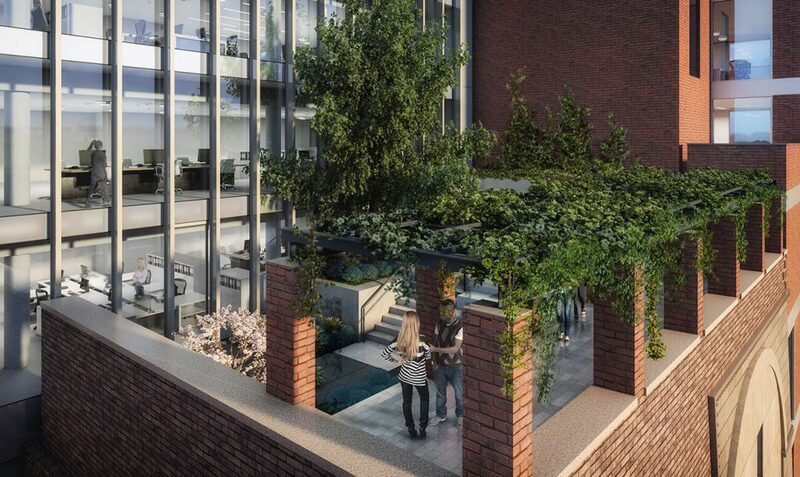 The Gardens International is an iconic office development that reimagines one of Limerick’s most historic and innovative buildings for the 21st century. Two centuries ago, the brilliant and dynamic William Roche created the ‘Hanging Gardens’, a breathtaking set of tiered gardens between O’Connell Street and Henry Street. Covering almost an acre and reaching 70 feet into the air, the brilliantly engineered Gardens grew exotic fruits, beautiful flowers and an extensive range of vegetables, on terraces over huge vaulted storehouses. The ‘Hanging Gardens’ are long gone. But the architecture and vision that supported them has survived. And this is now being incorporated into the fabric of The Gardens International. Taking inspiration from Roche’s vision – and honouring Limerick’s international entrepreneurial heritage – The Gardens International will ensure that a site that once astonished local and international visitors will once again be associated with innovation, ambition and imagination.